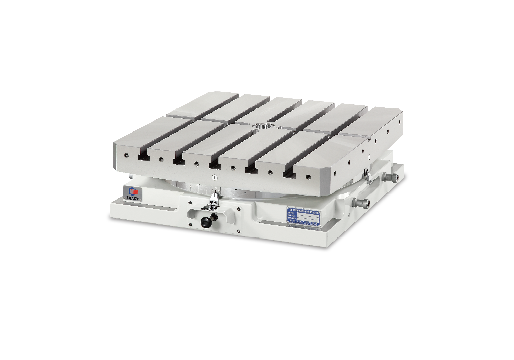 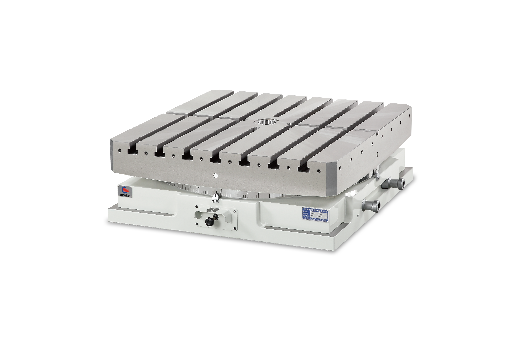 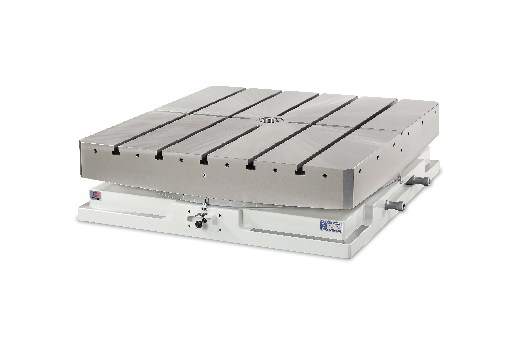 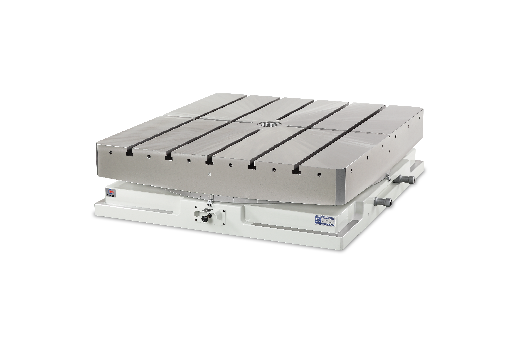 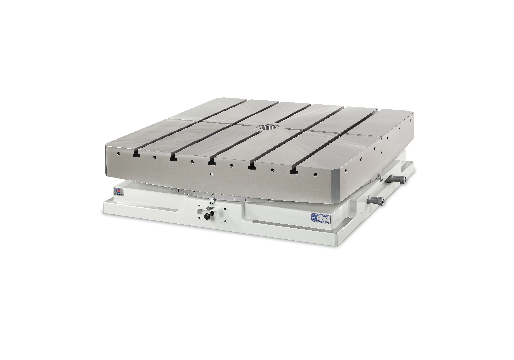 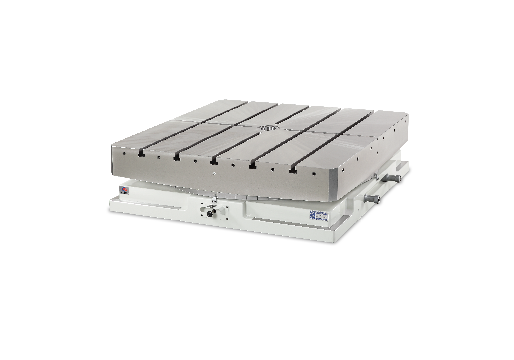 MBT series tables are designed with a 2 piece Hirth coupling for manually rotating in multiples of either 1° or 5° increments to an accuracy of +/- 2 seconds of arc. 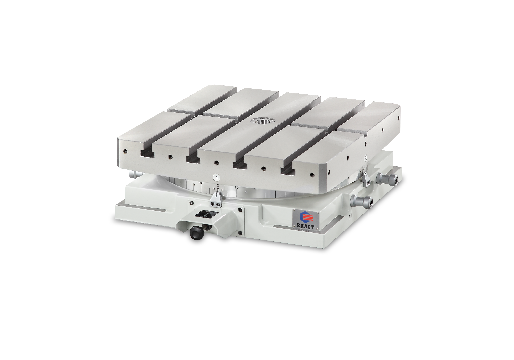 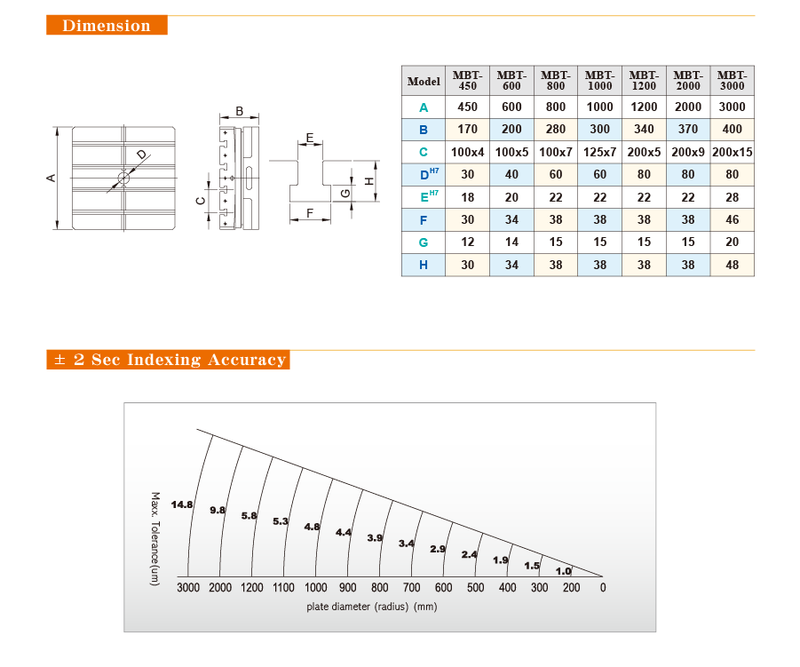 The tables are clamped pneumatically or hydraulically depending upon model, by a simple actuation lever or hand-held pendant. 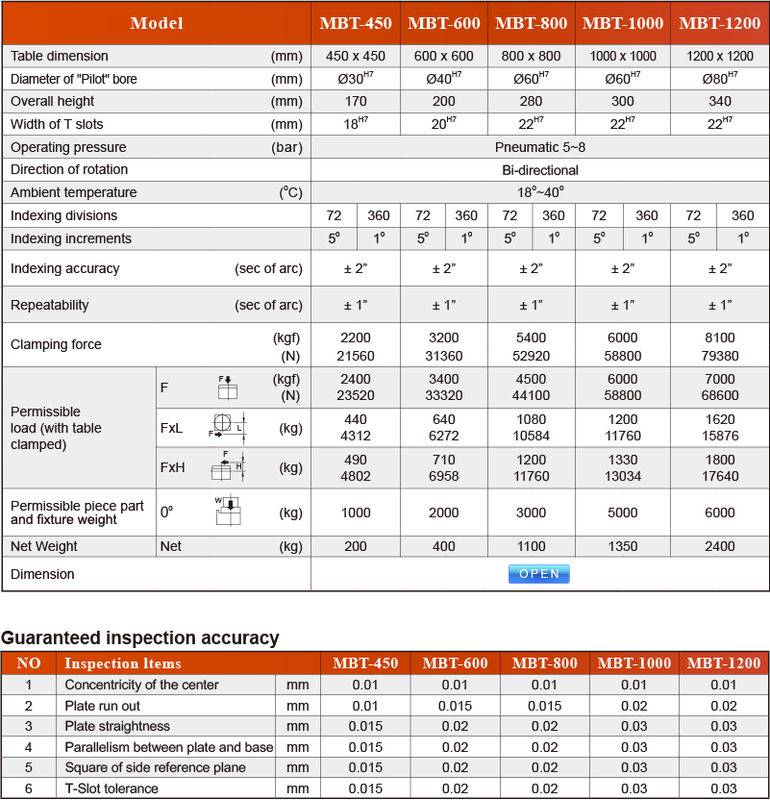 A vernier scale and pointer offers a reference during rotation, however, a digital scale is available on the larger tables (on reguest) These heavy duty, but simple and self contained tables are ideal for Jobs Shops or for applications where the indexing table needs to be frequently removed and re-installed to accommodate machine tool utility.